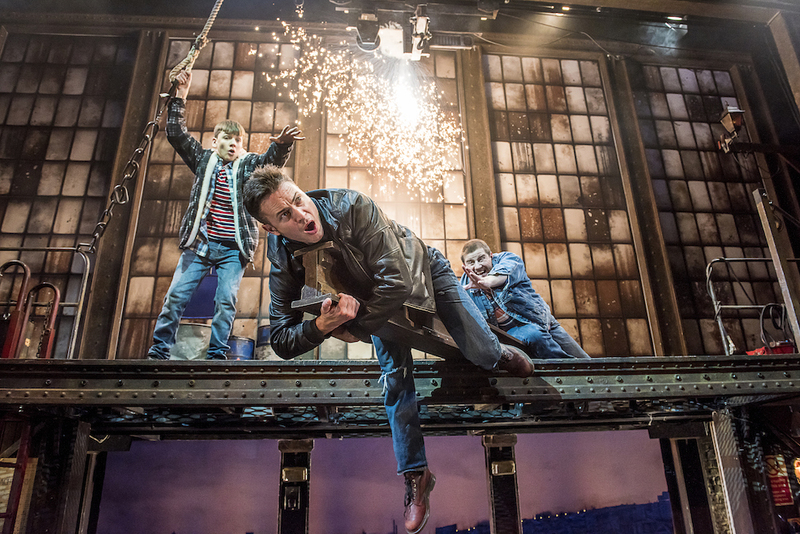 A stage version of the tragi-comic hit film is in Sussex this week. Is it 'hot stuff?' Muddy went along to find out. “I couldn’t have coped with being in the front row” said a women near me as we left the theatre. I know what she meant. 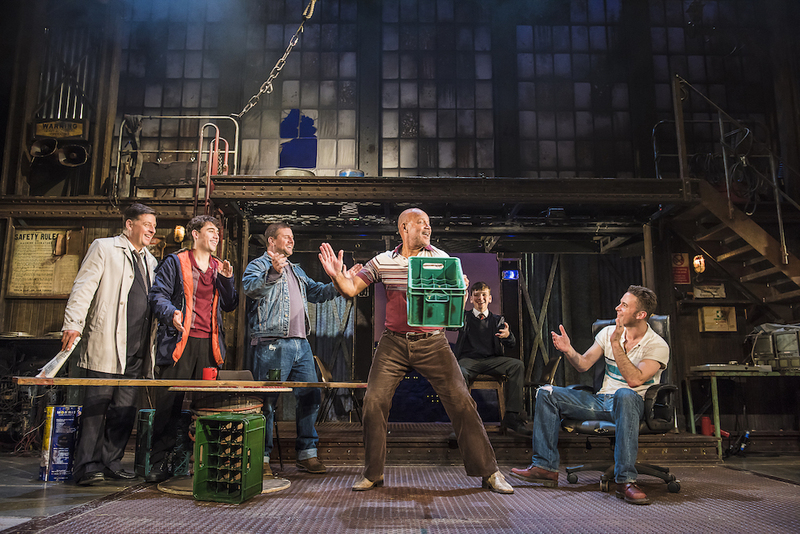 There was a fair bit of programme fanning besides a lot of whooping as our heroes finally got to reveal all on the opening night of The Full Monty, on stage at Brighton’s Theatre Royal this week. Of course, the famous striptease is only the last few minutes of the story and there’s a lot before this point. In case you haven’t seen the hit 1997 film, here’s a recap. A group of out-of-work Sheffield steelworkers, reeling from the loss of what they thought were jobs for life, devise a way to earn a quick buck by putting on a Chippendales-inspired show. The film is usually dubbed ‘feel good’ as there are plenty of laughs and an upbeat ending but as writer Simon Beaufoy points out, this is perhaps surprising for a story that covers depression, impotence, sexism, body image, child access, repressed sexuality and suicide attempts. That The Full Monty it is often tragi-comic is its strength. I remember the scene involving the surprise appearance of garden gnomes at a crucial job interview, though very funny, had me in tears when I saw the film. This time it was a moment with a retro Natwest piggybank that had me welling up. 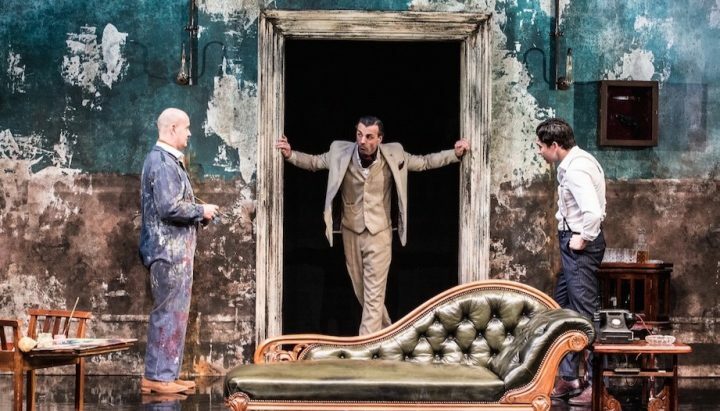 Fans will be pleased to hear the play sticks closely to the film – in fact Simon Beaufoy adapted his own screenplay and the stage show has won awards. The settings have had to be been condensed, of course, and most of the action takes place inside the empty steelworks, with crates, cable reels and the like improvised into tables and chairs for the scenes set elsewhere. The set has some lovely detail, with high grimy windows and occasional flying sparks. An alcove towards the back is cleverly fronted by a variety of sliding doors to create different venues. 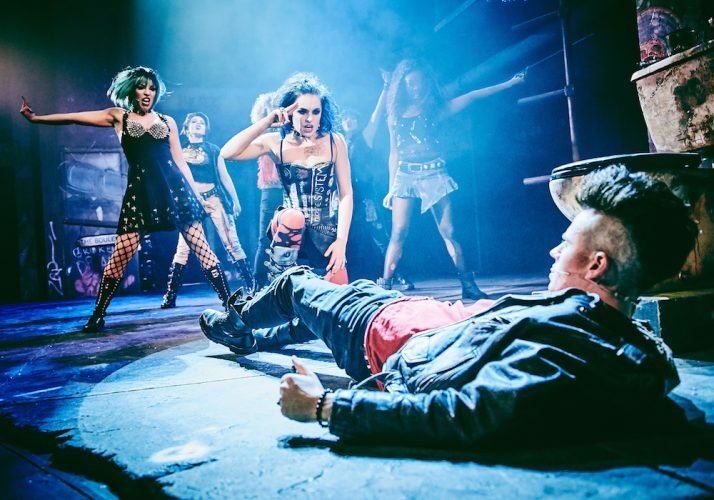 The play keeps the 1980s setting of the original and there’s a great sound track. Hot Chocolate, Donna Summer and Tom Jones of course back key episodes but the scene changes are sprinkled with other retro hits. The cast has a high quota of soap stars with Louis Emerick, who for a long time played Mick in Brookside the most recognisable to me as the amiable Horse. Gary Lucy from Eastenders and The Bill takes the lead as troubled parent Gaz, Joe Gill from Emmerdale plays depressive Lomper and James Redmond from Hollyoaks and Casualty stars as Guy – a man with hidden, err talent. All the key cast keep qualities from the characters I remembered from the film, many also bearing a passing resemble to their screen counterparts. You also get the impression that they’re having genuine fun with the show. 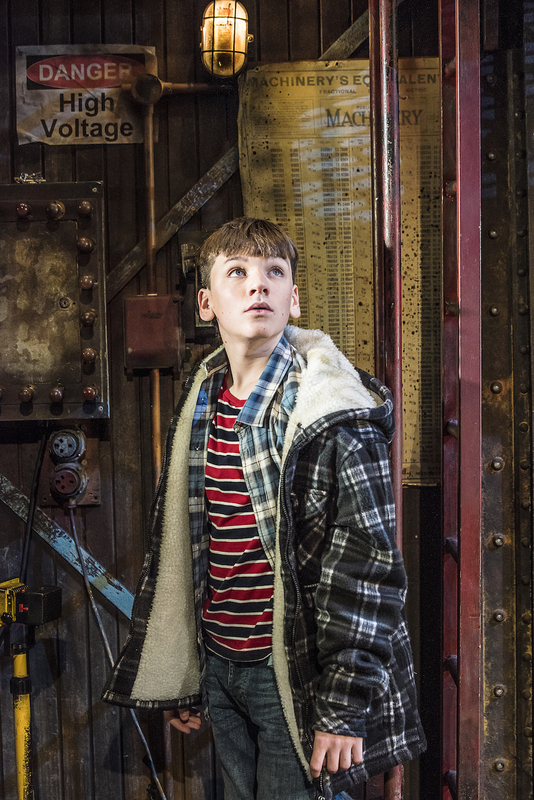 Gaz’s young son Nathan is brilliantly handled by Fraser Kelly, relaxed in a part which requires him to be on stage much of the time, by turns upset, angry or dead pan cheeky. Though the audience was female heavy it was fairly mixed, with plenty of couples. 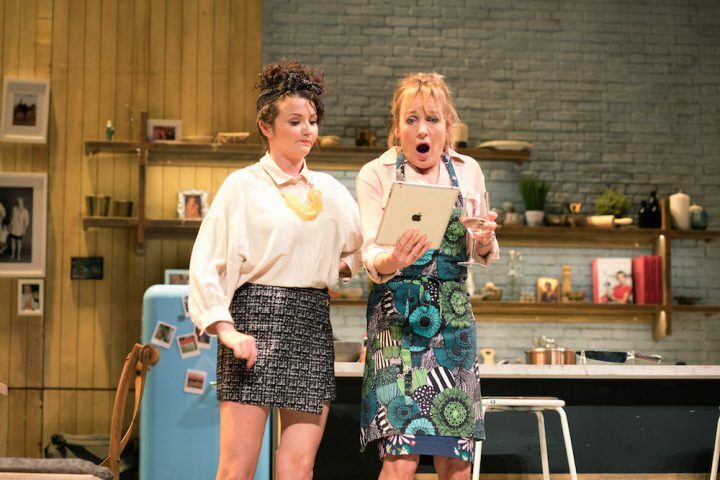 The ending is obviously going to delight straight women and gay men but the rest of the play has a far broader scope. In fact, in a lot of ways, it’s a very male story, looking at how men bottle things up, attempt to cover their perceived inadequacies and cope by using humour. The audience loved it and come the weekend the atmosphere is likely to be even better. Yes, it’s a feel good show, but it’s also one that makes you think… with plenty of bare faced cheek besides. 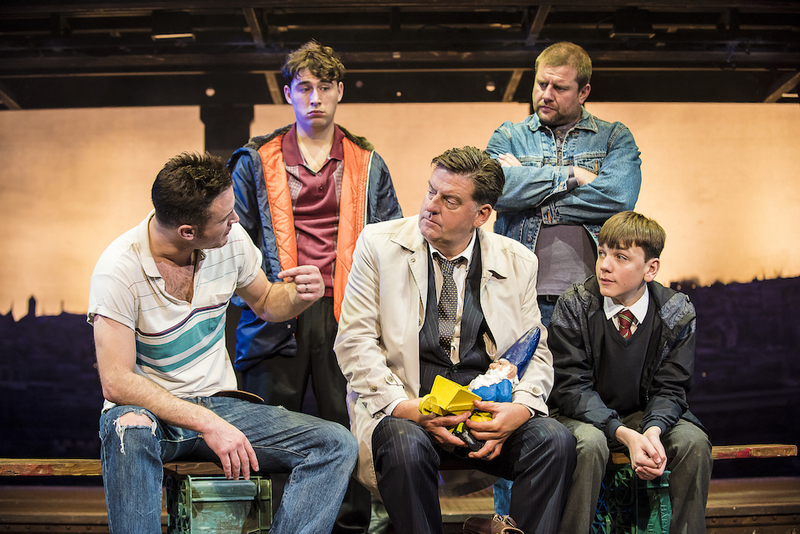 The Full Monty is at the Theatre Royal, Brighton until Sat 26 Jan. Tickets are from £13.